You’ve found the car that makes your heart race by 120 beats per minute. Now only one thing stands between you and the car of your dreams: financing the purchase. In a perfect world, you’d pay the full price in cash without blinking. But if you’re like the seven out of ten car and truck buyers who don’t live in a perfect world, chances are you’d be paying for your car through one of several financing schemes. Understanding the basics of each car financing option is key to choosing the automobile financing strategy that best suits your situation. Here is an overview of auto financing options that may be available to you. You can get a car loan from a bank, credit union, or other lending institutions. The car that you purchase will serve as collateral for the auto loan. This means that the lender can repossess your vehicle if you default on the car loan. Auto loans are a popular car financing option because they generally offer reasonable interest rates and are relatively easy to get. Two factors are likely to affect the total cost of the car loan. One is the term or duration of the loan. Generally, the longer the term of the loan, the lower your monthly installment will be. But you’ll end up paying more towards interest and this will increase the total cost of the auto loan. If you can afford it, get a short-term loan. Your monthly installment will be higher, but you’ll be paying less money over all. The second factor that may affect the total cost of your car loan is your credit rating. Creditors with less-than-stellar credit history are usually charged a higher interest rate because of the elevated credit risk. 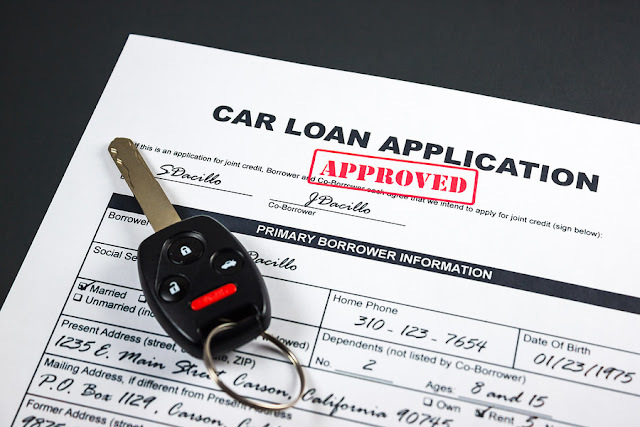 Like traditional auto loans, dealer financing is reasonably easy to get. Most dealerships have relationships with numerous lending institutions, so they can arrange car loans even for car buyers with blemished credit histories. To compete with traditional bank loans, many dealerships offer zero percent or very low interest on dealer loans. However, such loans are available to car buyers with stellar credit ratings. Consumer experts advise car buyers to get pre-approved on an auto loan from a bank or credit union before approaching the dealership for possible financing. By getting loan pre-approval from another lending institution, a car buyer gets the upper hand when bargaining for a lower rate on a dealer loan. If you own a home and have accumulated substantial equity on your property, then you may consider getting a home equity loan or a home equity line of credit. Home equity loans are fixed or adjustable rate loans that you repay over a predetermined period. Home equity lines of credit are open-ended, adjustable-rate revolving loans with a maximum credit limit based on the equity of your home. Home equity loans tend to have lower interest rates than credit cards and other types of personal loans. Interest payments on home equity loans may also be tax-deductible up to a certain extent. Home equity loans and home equity lines of credit use your home as collateral, so make sure you are financially capable of paying the monthly installments if you don’t want run the risk of losing your home. You may copy this article and place it on your own website, as long as you do not change it and include this resource box including the live link to the Credit Repair Advice site.